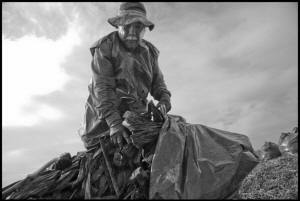 In October in California’s farmworker towns, unemployment rates begin to rise when the harvests end. In Coachella, not far from the wealth of Palm Springs, one of every eight workers has no job. In Delano, where the United Farm Workers was born in the grape strike 50 years ago, it’s one of every four, as it is in other small towns of the southern San Joaquin Valley. In the coastal farming towns of Santa Maria and Lompoc, the unemployment rate is 13.8 and 15.5 percent, respectively. In the Imperial Valley, next to the Mexican border, the unemployment rate is over 26 percent in Brawley and Calexico.